Noordhoek is the perfect destination for anyone taking a road trip in Cape Town. Noordhoek, which literally means “north corner” is positioned perfectly below Chapman’s Peak on the west coast of the Cape Peninsula, approximately thirty-five kilometres to the south of the city centre. For the best trip, rent a car in Noordhoek and drive through the most popular holiday locations on the Atlantic Seaboard which include Hout Bay and Chapmans Peak Drive. All road trip enthusiast know that the drive makes up most of the experience. You can get their via the scenic coastal road, Chapman’s Peak Drive, which leads out of Hout Bay or the mountain road Ou Kaapse Weg which cuts through the beautiful Silvermine Nature Reserve. Despite the name, there are no headless horsemen here. 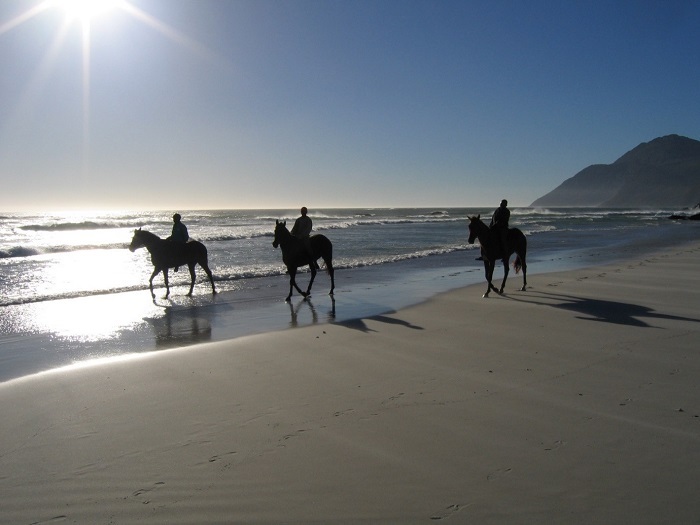 The Sleepy Hollow Horse Riding has become a fast growing attractions in Noordhoek. Offering horseback riding along the spectacular beach. Visitors and locals alike have been raving about their sunset experience on the back of a horse in Noordhoek. Along your trip, be sure to stop off at Sleepy Hollow Lane and make your booking. For the first time horse rider, rest assured that Sleepy Hollow horses are rider friendly. Those who frequent the farm village say the best thing about it is the friendly atmosphere. 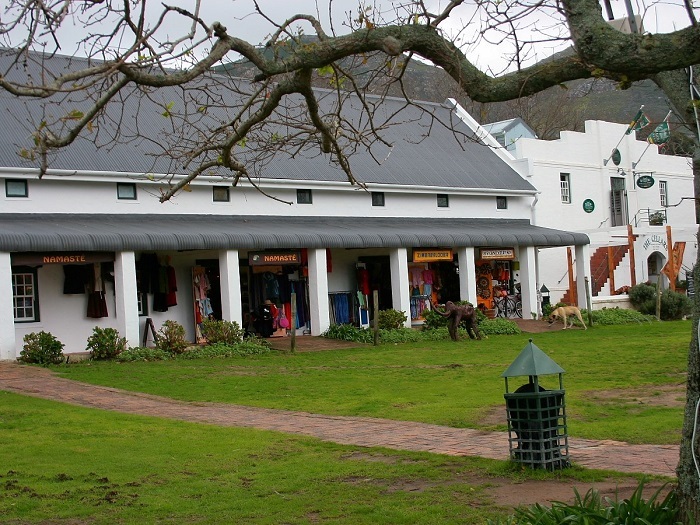 The farm village in Noordhoek is one the entire family can enjoy. Just recently, they launched the new food hub which boasts everything from fresh homemade bread, handcrafted ice cream, a raw juice bar, fine dining restaurant, a sushi bar and a variety of spa treatments. For the adventurous traveller, local travel and adventure operators are based at the farm village and ready to set up a fun activity suited to your preference. 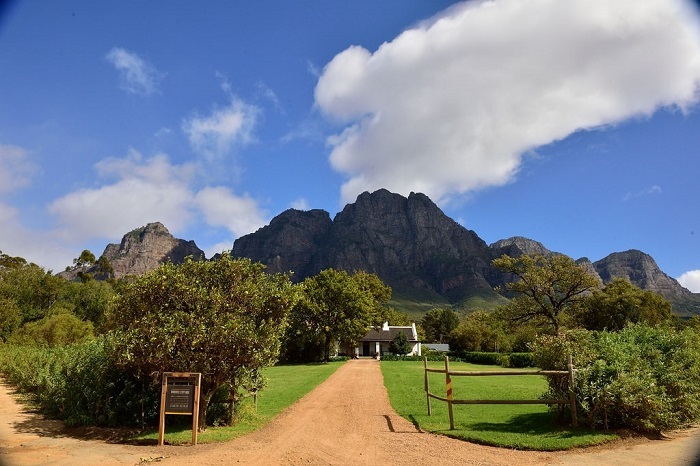 For a complete experience of Noordhoek Farm Village in 24 hours, you need to begin your journey in the early hours of the morning morning and travel along the spectacular Atlantic Seaboard, past Hout Bay Harbour and via the picturesque Chapman’s Peak Drive. No trip can ever be complete without indulging in some locally made wine. The Western Cape is internationally recognised as a source of award winning wine and bubbly. The best part about this is that you can sample these wines at restaurants situated on the same vineyards where the wine is sourced. You don’t get better than that. Cape Point Vineyards is a restaurant that offers exactly that type of dining experience. Located in Silvermine road, head Chef, Jonathan Gargan prides himself on sourcing the freshest local ingredients that are put together with delicate love and care. You can book your seat at the table for lunch or dinner. Nestled perfectly between the ocean and mountains, these vineyards are breath-taking. The Noordhoek community are known for their hospitality. Combine the list of amazing activities and picturesque views, you’ll find it difficult to say goodbye. Visit our selection of the best places in Cape Town too see what else you can enjoy in the Mother City.